What a unique opportunity to acquire such an outstanding six year old beachside residence that presents like new and is being offered to the market well below replacement cost. With old beach shacks selling in the surrounding streets for over $500K this stunning home represents exceptional value. 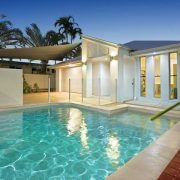 Backing onto parkland and with only a short stroll required to reach the aquatic playground of the Pumicestone Passage the lifestyle on offer is second to none. Imagine wandering down to one of the vibrant cafes for a morning coffee before you decide whether to have a morning swim in the safe calm waters, or a spot of fishing, sailing or kayaking. Whatever your choice what a place to enjoy the lifestyle you deserve. This spectacular home really needs to be inspected to truly appreciate the quality on offer and open plan design. Boasting an abundance of natural light and those cool summer breezes this home features two living areas, high ceilings, four generous sized bedrooms and a fifth bedroom or home office, two luxurious bathrooms and a gourmet kitchen centrally located to ensure entertaining is a dream. 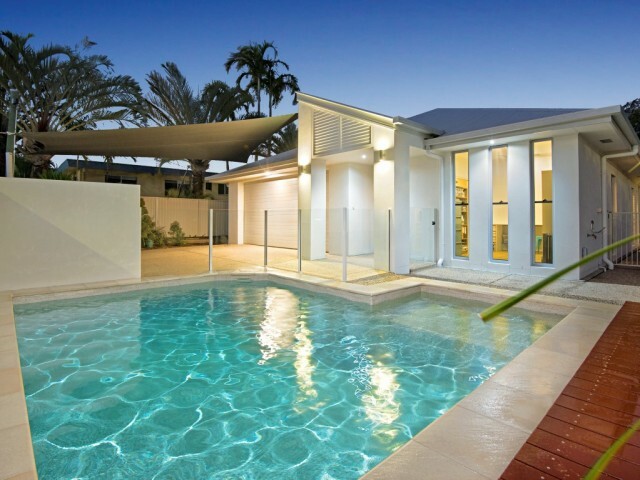 With a sparkling inground pool, outdoor alfresco area, ducted air conditioning, 5kw solar and solar hot water, rainwater tank, and Crim safe security throughout, this beachside gem really does have it all. With many property experts predicting the Sunshine Coast to be the next property hot spot and with all the lifestyle factors offered at Golden Beach, don’t miss this fantastic opportunity to secure such a prime piece of realestate.